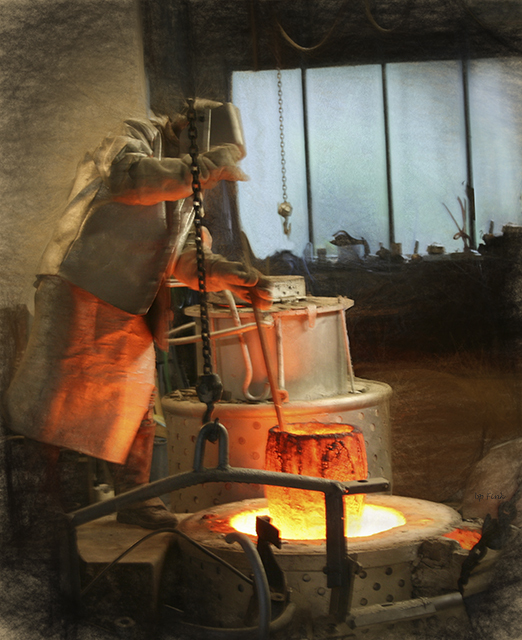 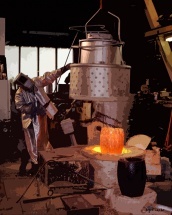 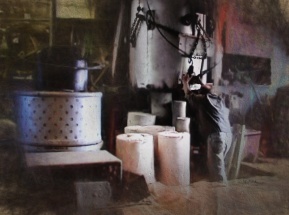 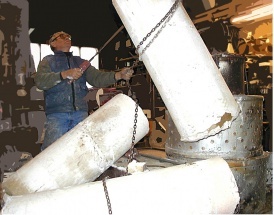 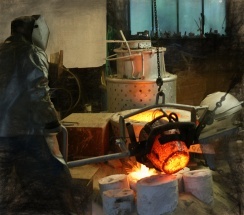 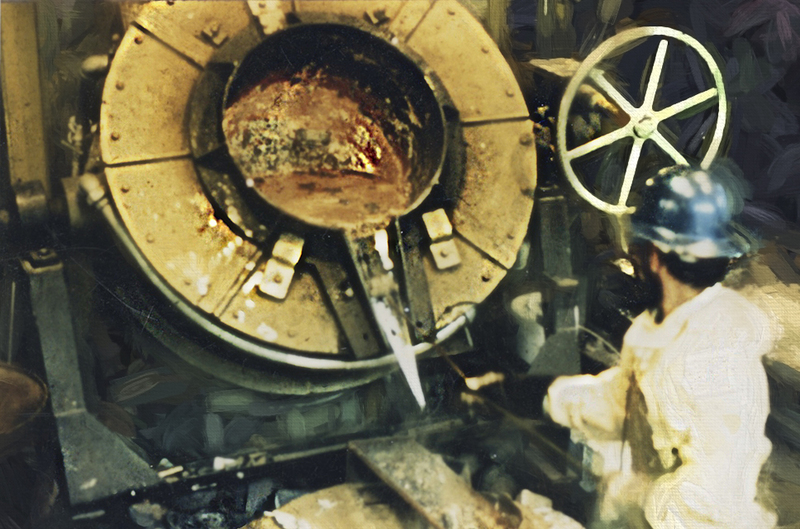 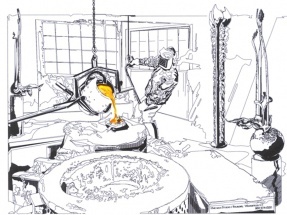 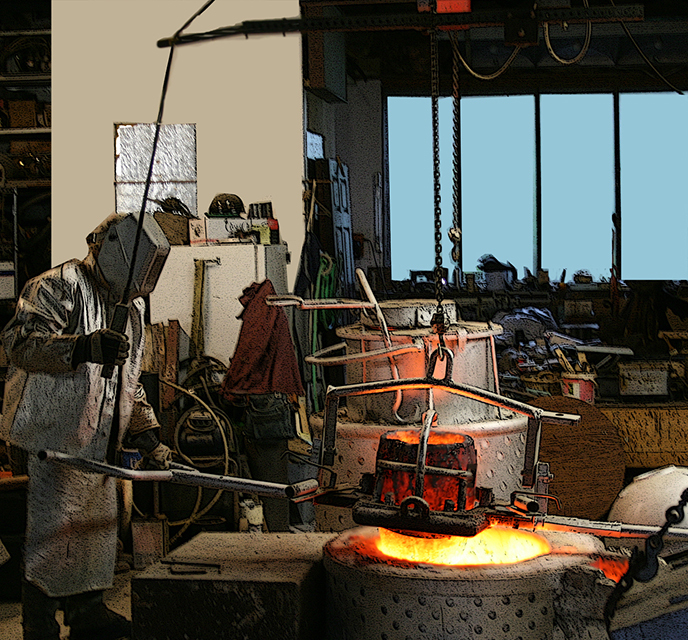 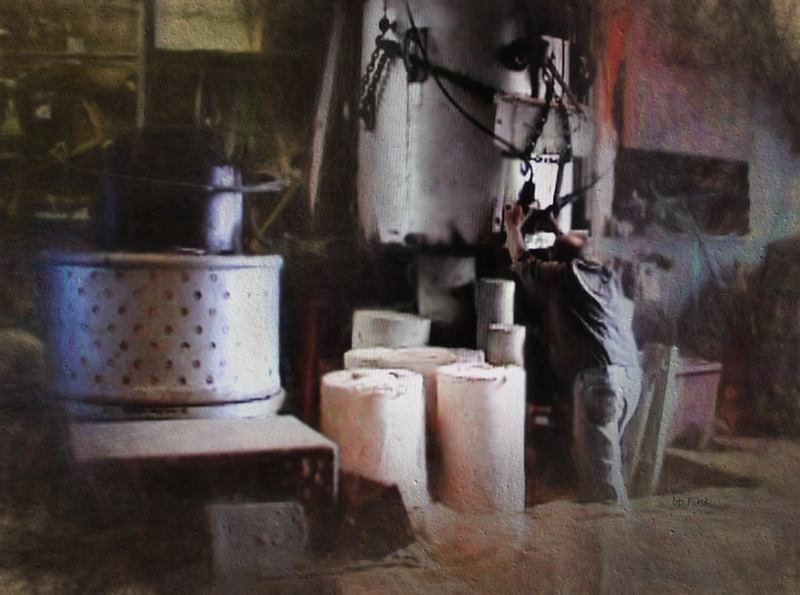 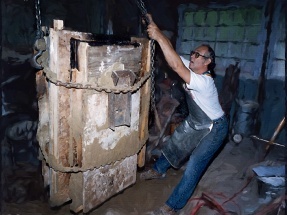 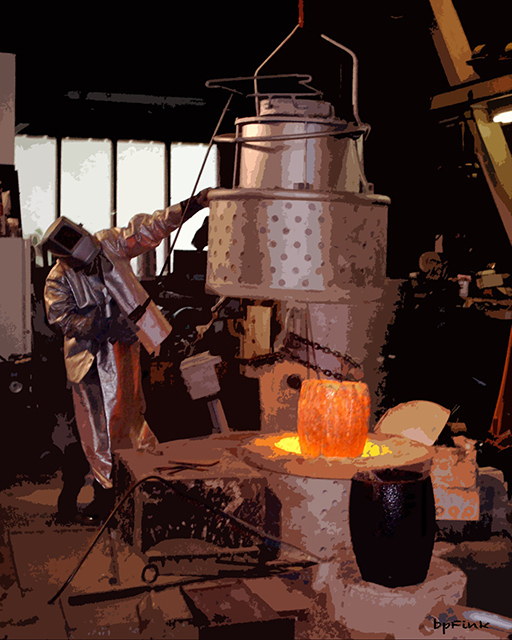 The historical lost wax casting system has been redesigned and modernized making this studio / foundry have the largest known one-man safe operation with a pouring capacity of 300 lb. 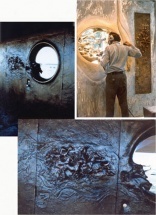 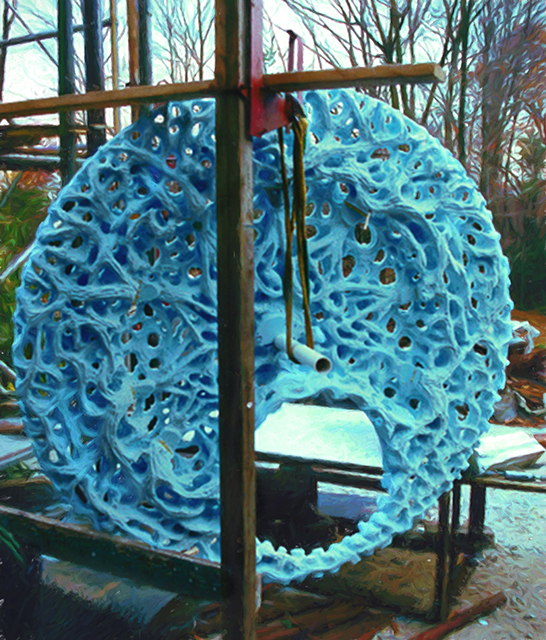 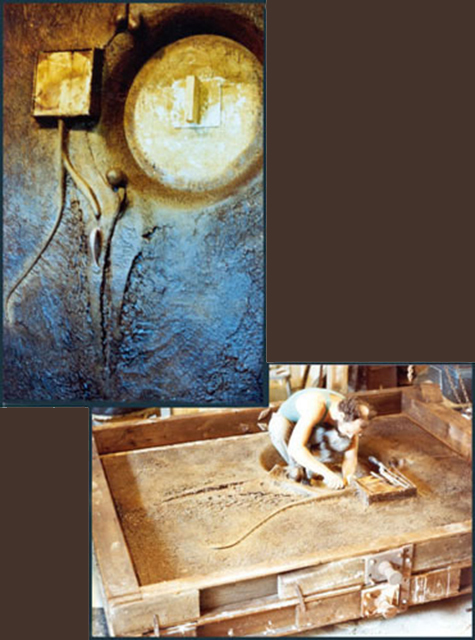 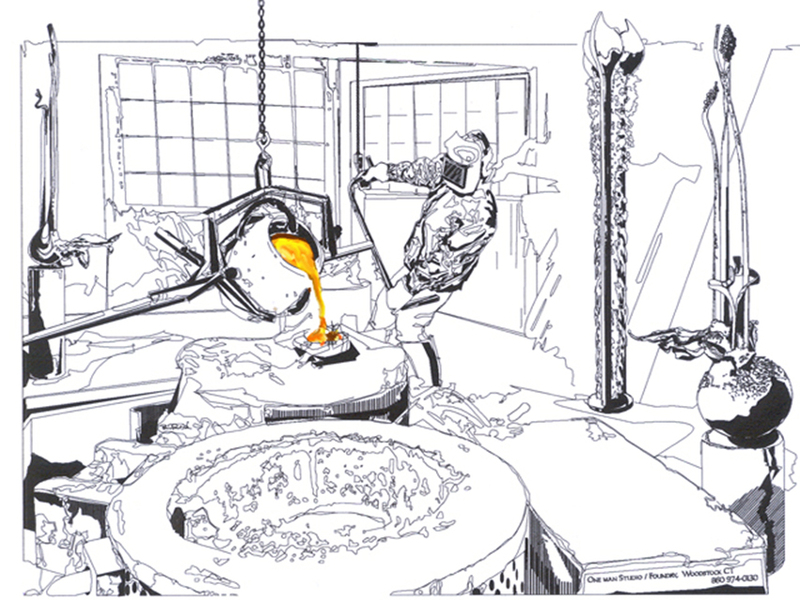 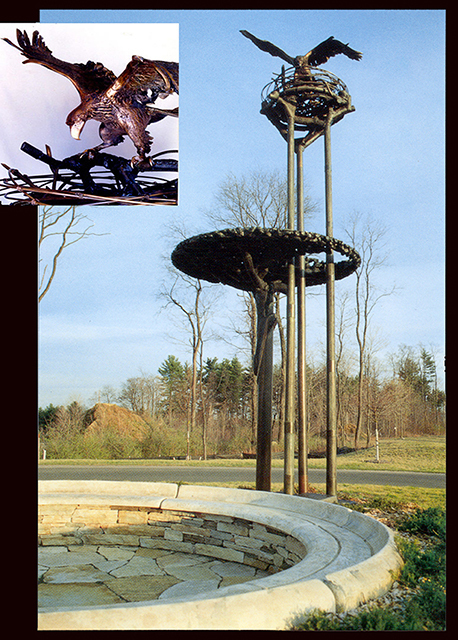 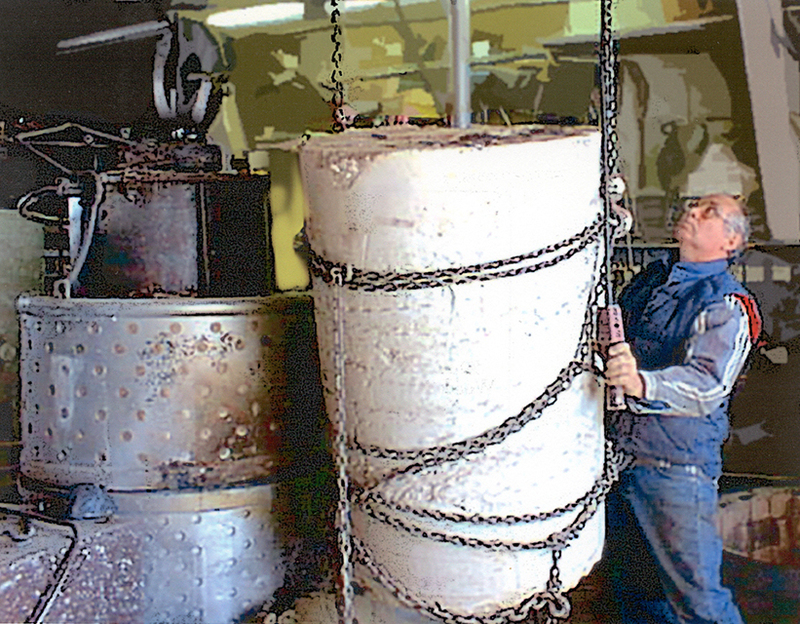 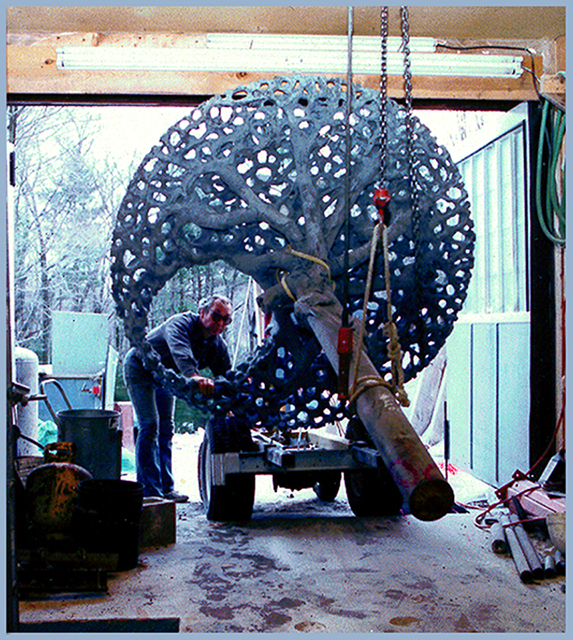 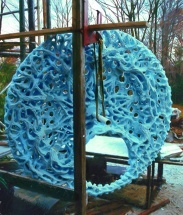 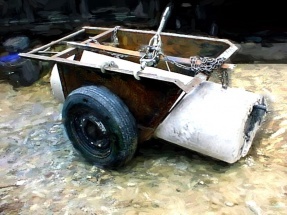 of bronze per melt with mold investment size limits of 7 ft. high x 43 inches in diameter. 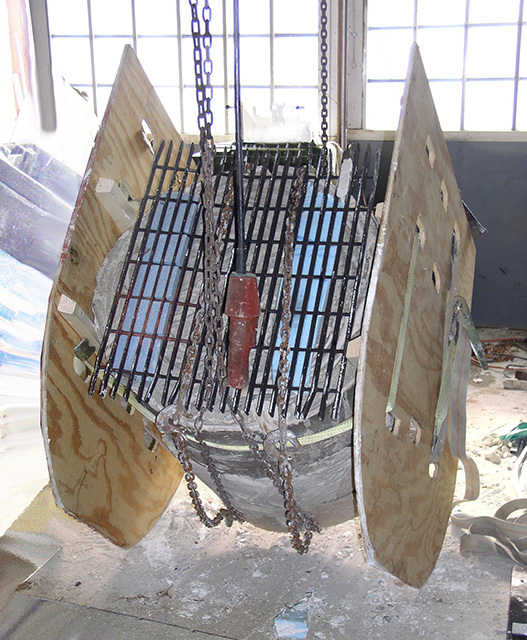 A double bridge crane hoist system does all the lifting to control handling furnaces, kilns, molds and metals with automatic safety gravity counterweights for ease of operation.